It's that time of the year. You all know what I'm talking about without me even having to explain it. But I will because I just love it. The countdown to Thanksgiving and Christmas has now begun, as Halloween has come and gone. Don't get me wrong, everyone loves a good Halloween, but this is where the real magic happens. There are always the ones who just don't enjoy the holidays and are negative about it, but don't let that bring you down because there is so much to look forward too. I can proudly say that I am one of the people who are over the top about the upcoming festivities, but I have no shame. I wanted to share with you why this time of the year is something to look forward with all the joy it brings. 1. The crisp air that lets you know winter is around the corner. 2. Pumpkin this, and pumpkin that. 4. 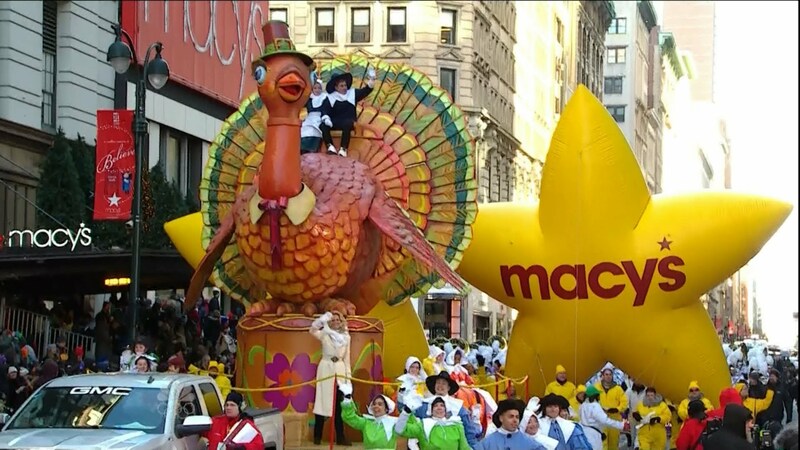 Macy's Thanksgiving Day parade. 5. Thanksgiving dinner.. do you have your stretchy pants ready? 7. Feeling thankful for what you have in life. 8. Black Friday shopping, deals deals and more deals! 9. Gilmore Girls (this year is extra special with this addition). 14. Christmas movies one after another. 15. More food and sweets.